RPSC RAS 2018 Notification | Online Application Form - Apply Online for 980 Posts through RAS/RTS Combined Competitive Exam 2018 on Direct Recruitment Basis. Online Applications are invited by Rajasthan Public Service Commission from 12 Apr 2018 to 11 May 2018 (Extended till 31 May 2018 till 12 Night) (Extended till 16 Jun 2018 till 12 Night). for 980 vacancies. RPSC RAS Pre 2018 Extended Result: Rajasthan Public Service Commission has announced the Result on 14 Dec 2018 for the exam which was conducted on 05 Oct 2018. RPSC RAS Pre Result 2018: Rajasthan Public Service Commission has announced the Result on 23 Oct 2018 for RPSC RAS Pre Exam 2018 which was conducted on 05 Aug 2018. 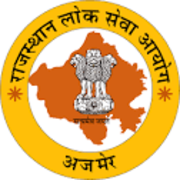 RPSC RAS Answer Key 2018: Rajasthan Public Service Commission has issued the Answer Key on 09 Aug 2018 for the exam which was conducted on 05 Aug 2018. Answer Key can be accessed from the link given below. Closing Date to Apply Online 11 May 2018 till Mid Night (Extended till 31 May 2018 till 12 Night) (Extended till 16 Jun 2018 till 12 Night). Any Graduate Degree from a recognized Institution/ University. On the basis of Pre & Main Examination. Eligible candidates may apply online at RPSC's website (direct link is given below) from 12 Apr 2018 to 11 May 2018 (Extended till 31 May 2018 till 12 Night) (Extended till 16 Jun 2018 till 12 Night). Click on “Click here for One Time Registration”, if you are a new user. Fill the all details in the application.